Book - Alzati Santa Barbara Executive Leadership Coaching - Leadership Coaching for Leaders of Corporations, Start-Ups, Non-Profits or A Cause. 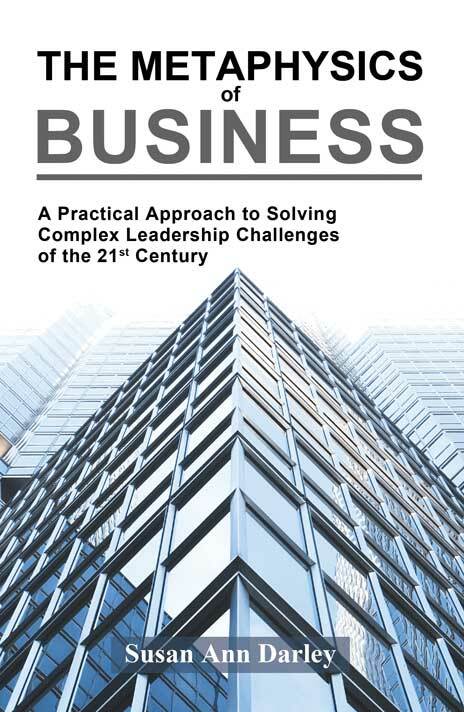 "A Practical Approach to Solving Complex Leadership Challenges of the 21st Century" is now available on Amazon. The Metaphysics of Business takes the mystery out of the word “metaphysics,” reducing complex theories to simplicity. Written for leaders it explains the path that leads to greater self-awareness. The path that frees us from less than desirable habits and behaviors and reveals our humanity. In this book I present principles and techniques that translate into practical skills that can be applied to your career and personal life. With newfound clarity you can identify and solve problem areas – within yourself and in your organization. Through the creative use of mind, metaphysics becomes a practical everyday tool. Self-awareness is required by leaders to provide the new consciousness that is needed to meet the demands of our times. This means knowing how to rise above drama to resolve our challenges at a higher level. It means knowing how to skillfully navigate the turbulent waters of change and major disruptions of this century. Until a person realizes and understands their personal power, they remain caught in the web of human drama - whether their own or others. This book sheds light on the path to freedom. The Metaphysics of Business serves as an enlightening road map for leaders who choose to lead armed with critical insights into life that transform hearts and minds while shaping positive humanitarian change.